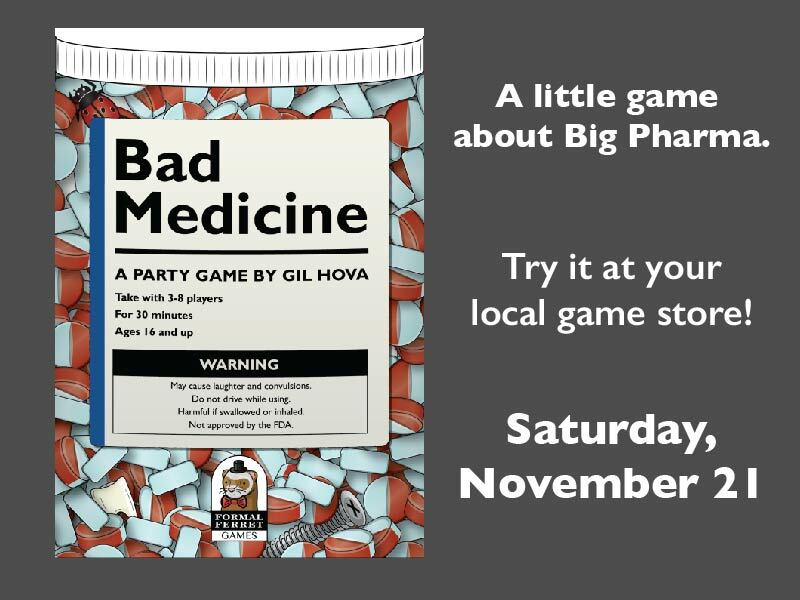 Play Bad Medicine in a game store near you on November 21! On Saturday, November 21, Bad Medicine is going to be played in 35 stores all across the US! The game will be available for retail purchase by then, so be sure to ask your Friendly Local Game Store for a copy. Here’s a list of stores participating in the event. Come join the fun! Played this today. Great game. Hilarity ensued. This is definitely a game I will purchase.